Amazon chief Jeff Bezos and his ex-wife MacKenzie took to Twitter Thursday to announce that their divorce is now final after 25 years of marriage. 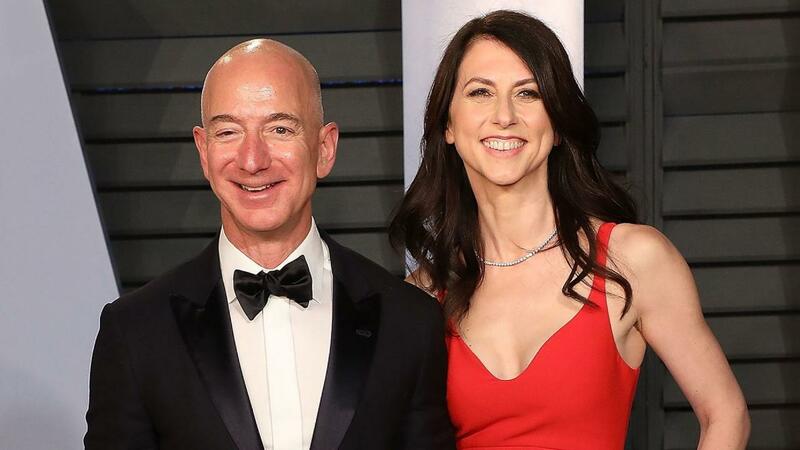 "Grateful to have finished the process of dissolving my marriage with Jeff with support from each other and everyone who reached out to us in kindness, and looking forward to next phase as co-parents and friends," MacKenzie Bezos tweeted. She said she was "happy" to be giving her ex-husband all her interests in the Washington Post, Blue Origin as well as 75 percent of their Amazon stock. Additionally, she will also be giving up voting control of her shares, which now represent about 4 percent of Amazon&apos;s outstanding common stock, making her the third-biggest shareholder in the company behind Jeff and Vanguard, according to a filing with the Securities and Exchange Commission. The move, she added, is to support his "continued contributions" to the teams which he grew. That tweet was her first and only tweet on the social media platform as the novelist is known for shying away from the spotlight. However, the one thing she’s always known is that she hit the "lottery" when marrying Bezos in 1993 when she was just 23 years old. “I am definitely a lottery winner of a certain kind,” she told Vogue magazine in 2013 in a rare interview. Though she added while their fortune, now worth an estimated $137 billion, makes her life “wonderful in many ways,” it’s not what she feels defined by. “The fact that I got wonderful parents who believed in education and never doubted I could be a writer, the fact that I have a spouse I love, those are the things that define me,” she added. “He likes to meet people. He’s a very social guy. Cocktail parties for me can be nerve-racking. The brevity of conversations, the number of them — it’s not my sweet spot,” she said. On top of that, she also admitted that when Jeff pitched her the idea of selling books over the internet -- which later morphed into the behemoth of Amazon today -- shortly after they got married she really didn’t have any sense of starting a company. “I have no business sense whatsoever,” she said, adding that she was eventually game to start a business because she “saw how excited he was” about it. But despite their differences, MacKenzie said the pair fell in love quickly and were married six months after they met at work. The author also credited her husband for helping her develop her career as a novelist. “Jeff is my best reader,” she said, adding that he would oftentimes clear his busy work schedule to read her manuscripts and give her meticulous notes on her work.